Magnetic Resonance Imaging—What is it? 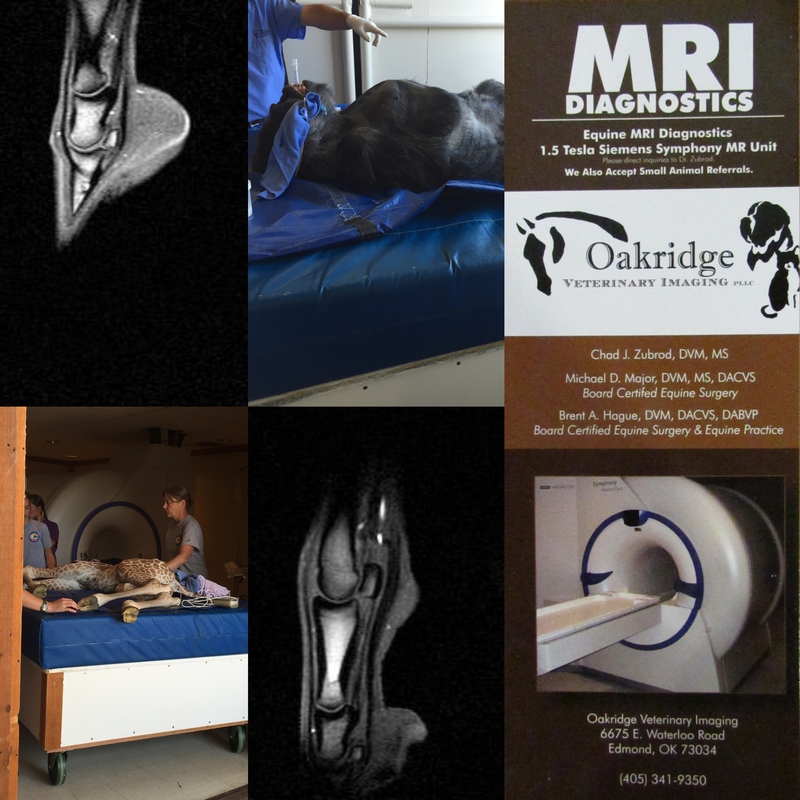 In the last 15 years, MRI has become an integral part of our diagnostic tools used to determine the cause of pain and lameness in your horse. Many conditions treated today were not even diagnosable before the availability of MRI, but how does MRI work? To condense to the simplest form, MRI is the manipulation of hydrogen ions in tissue. Almost all tissue has hydrogen ions, which are present in fluids, like water. The body is made up of water. MRI looks at how tightly that water is held in the tissue. The hydrogen ions behave like bar magnets and when placed in a magnetic field they all start to align in a similar direction. The MRI machine altars the alignment of this ions with radiofrequency which gives them energy. They then release this energy as they realign with the magnetic field. When this happens a “signal” is detected by the machine and formed into an image. The stronger the magnetic field as in a “high field magnet” the more signal that is produced and used to form the image. Two things that can adversely affect the image quality are inadequate signal and motion. “Low field magnets” commonly used in standing MR machines, lack adequate magnetic field strength to achieve high resolution. There is still a lot of good information to be gained from the signal available but images lack detail and resolution seen with a “high field magnet”. Motion is also a difficult hurdle to overcome with a sedated standing horse in areas higher than the foot. Many times necessitating general anesthesia even with a “low field magnet”. The important question we have to ask as clinicians is whether there is enough signal in the image to make an accurate diagnosis. For this reason most MR scans in people are performed with a “high field magnet” to maximize resolution and minimize scan time. At Oakridge, we have a Siemens 1.5 telsa “high field magnet”. Our goal is to provide the highest resolution images available to maximize the accuracy of each diagnosis.